Thinking of starting a print and direct mail media marketing campaign? At Great Falls Hometown Values we know that print media is far from dead, and instead, remains a powerful and vital tool for successful marketing. 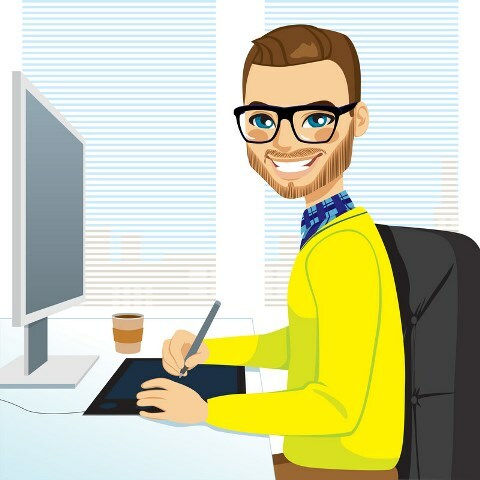 In fact, according to a Pitney Bowes Survey, 76% of small businesses state that their ideal marketing strategy utilizes both printed and digital communications. Working as a yellow page media consultant, web designer, and direct mail consultant with a large and diverse group of businesses throughout Montana for over 25 years, the one thing I have learned with certainty and without fail is that business customers and consumers want service. They still do and always will. With direct mail, technology and the internet becoming even more popular for a multitude of generations young and old, there has been a paradigm shift on what the consumer wants when looking for a business; hence a shift in where your marketing dollars need to be invested. Bottom line: When consumers are searching online for a product or service, they want results "now." Can they find your business online? We can help you with that. As a business owner, ask yourself this question now and every six months: Is your business currently using the best marketing and affordable medium(s) available out there in today's fast-paced and ever changing world? If you are using yellow page advertising as a marketing medium, you may want to reconsider shifting your marketing dollars into new marketing investments. 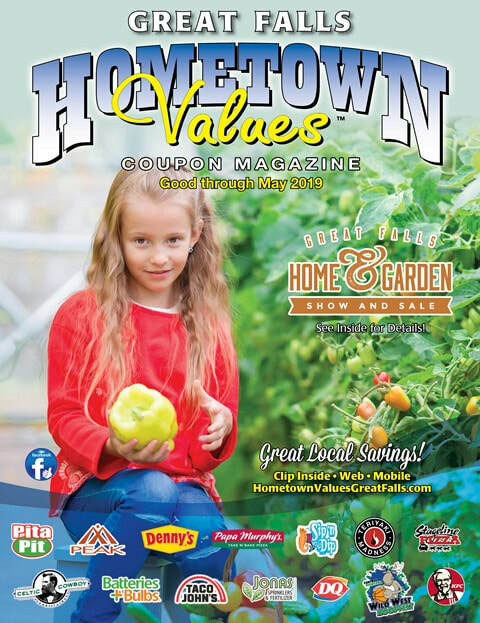 In 2010, we started Great Falls Hometown Values Coupon Magazine researching and knowing that the internet and your mailbox are here to stay. These two affordable mediums assist with the added-value marketing businesses can use now and in the future. More and more each day, business owners tell me that their customers are letting them know that they want more information and they are looking them up on the internet. Let's take a look together at how to improve your bottom line and get a good return on your investment with your marketing dollars. We can help your business keep up with the demands of consumers, your customers; and yes, even your potential customers. ​Please contact us with any questions that you may have. If you are in the market for direct mail marketing solutions, a website, or branding your business, we welcome the opportunity to show you how we can help your business grow. 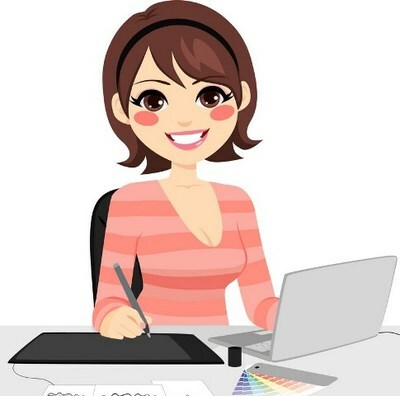 ​Our founder Kim, and our graphic designers are here to help inspire both you and your business. Since our styles are diverse, we encourage you to take a look at how we can help your business grow! 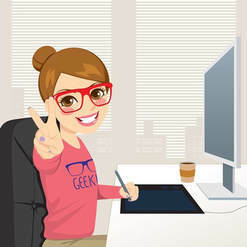 We have an exciting and flourishing graphics department who bring forth team efficiencies to our growing business - wonderful folks!